The only system to customize what e-mails you want to receive. You choose the topics and we’ll keep you informed!! Donde usted es quien filtra la información que recibe. An employer is 99% of times more likely to hire the candidate that leaves the best impression on the interview. Therefore, it is important to showcase your skills that make you the best candidate for the job. Standing out from the other candidates helps the employer remember you when making a decision in regards to whom he should hire. Your first chance to make an impression is through your resume and application. But once you are invited for an interview, you need to further impress your potential employer. Include only relevant experiences on your resume so an employer can see clearly why you qualify for the job. However, study your past jobs closely because some jobs may be relevant, even if they were in a different field. For instance, if you are applying for a management job, any job that showed you work well independently and with others can be relevant. Write a cover letter that is tailored to the specific job for which you are applying. The cover letter should be short and to the point. Give a brief description of why you feel you are a good fit for the job. Close it with a line about looking forward to working with the company. Showcase the skills needed for the job in your resume, even those that don't relate directly to field experience. Use words to describe your past duties that tie them into the job for which you are applying. Research the company well before you go to the interview. The more you know about the company, the better prepared you will be to respond to the interviewer. Your research will help you ask the right questions and give relevant answers. Dress well for the interview. Even if you are applying at a factory, dress at the business casual level. If the job requires, dress in full business attire. Smile and act friendly toward everyone you encounter when you go to the interview. Even if you think no one is watching, management likely watches and takes note of how you interact with other people in the company. Show flexibility to the employer. While its important not to downplay your worth to the company, show that you can work flexible hours and are flexible with salary requirements. A willingness to negotiate and make concessions shows the employer that you are a team player. Seek out additional training in the field in which you are hoping to work. Attending classes related to the job shows employers that you are willing to learn and grow in a position. Provide the employer with a list of references that are accurate and can give you solid reviews. Employers generally do check references. Pay attention to the requirements for references. Some jobs accept relatives and friends, while others require professional references only. Converse with your interviewer beyond answering questions. Bring a list of your own questions. Some casual conversation is okay at an interview, but avoid talking about your personal life. If you don't get fast news from them, send a thank-you note within 2 or 3 days after the interview. Thank the employer for taking the time to speak with you and let him know that you enjoyed your time at the company and really like the idea on work for him. - Always let an employer know that your long-term goals include the job for which you are applying. Employers want employees that will keep the job over a longer period of time. - Never over-act or fake who you are. Nowadays, honesty and transparency are as valuable (and sometimes even more important) than a very impressive resume. So...confident and be yourself. Make the interviewer feel completely comfortable with you. Article writen by Kimberly Turtenwald, courtesy of eHow, the home of every useful knowledge. Want to live more than 100 years? The Nicoyan’s recipe for a long and happy life. Costa Rica has a Blue Zone... Pura Vida Blue. A harmonious and pacifist society, a large and well preserved biodiversity, a country without an army since 1948, with ¼ of its territory maintained as wild life preserves and a country selected for the second time as the happiest country in the entire planet, add up to a series of positive and very unusual values in the present day world, all converging in a small country called Costa Rica. As if all these illustrious distinctions were not enough, Costa Rica also posses one other outstanding distinction: Nestled within its territory is the only Blue Zone in all of Latin America. The Blue Zones are a few, small portions of the planet where people live much longer than the norm; areas where persons over 100 years old abound. Although the study is an ongoing process, so far very few Blue Zones have been identified in the world, so few in fact that they can be counted with the fingers of a single hand, a widely open hand where the Nicoya peninsula would probably be the thumb. The other 4 Blue Zones are smaller areas found in California, Japan, Italy and Greece. Long, satisfying lives are abundant in Costa Rica’s Blue Zone, an area almost as extensive as the other 4 Blue Zones put together. Throughout all of Guanacaste and doubly so in the Nicoya Peninsula, one can see an unusual number of young kids in their 80s, 90s or 100s, completely lucid and active, riding their bicycle, doing their shopping, fixing their home, cooking the meals for the family or even chopping firewood for the stove. And they are usually smiling! The Nicoyan recipe for a long and happy life. Truly there are no major secrets to the unusual longevity of the people of the Nicoya area. Rather exist a group of clearly identified physical and social elements that together make the magic happen. · The rich mineral content of the subterranean water of the province – particularly its high content of calcium and magnesium – fortify the bones and muscles. In addition, the water also contributes a daily supplement of other minerals and ions essential for better functioning at the cellular level, especially for older adults. · A diet rich in beans and corn have been identified as a beneficial and very healthy dietary combination. · Regular physical activities, along with doing at least a little work each day without skipping. · A dry and sunny climate, which is especially beneficial for the elderly, guarantees fewer respiratory illnesses and higher levels of vitamin D.
However, the Nicoyan prescription is not complete until we add the social and philosophical vision that guides the life of the centenarians. · Having a life plan that has been thought out and customized for each individual. · Living a life free of stress and free of negative thoughts. · Cultivating solid social and family relationships. · Appreciating life and living it with an optimistic outlook. Interesting, isn’t it? Put like this it does not appear to be complicated at all! Would you like to try this recipe? Just put all these ingredients together and mix them well. Then add a huge smile, several photos of your family and friends and a short list of the things most essential to your happiness. Knead all this slowly, cut it in small pieces, bake it for a while under the sun and it’s ready. You can start adding a bite of these healthy Nicoyan biscuits to each and every day! This longevity recipe that these chefs of life have prepared in Nicoya has proven to be an effective formula, which – without a doubt – at least merits a try. None of the ingredients are hard to find or things that you can’t cultivate yourself. A deep appreciation for life, drinking plenty of water, a diet rich in nutrients and minerals, good social, positive feelings, daily physical activity and a life plan to suit the individual – these are things that we can all start doing within a short time. The recipe for a long life has already come out of its mold and is served on the table. 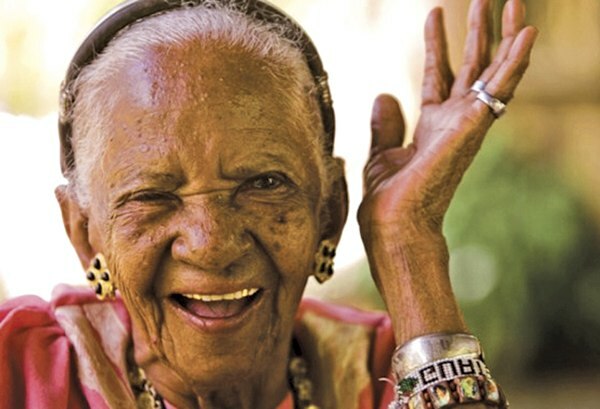 Those wise Nicoyan centenarians have lovingly unveiled their secrets for us and are inviting each and every one to learn from their experience so that we too, can achieve the benefits of their discoveries. Are you ready to reach triple digits? If so, adjust the colors on the canvas of your life and begin to include in your life some more of those Nicoyan hues, a little more of that life enlarging and positivist pigment called PuraVidaBlue! How to Organize your week and optimize your time. Organizing your week successfully can help you reduce and manage stress as well as ensure that appointments or important tasks are accomplished in a timely manner. The process should include both your personal and your work-life projects to give you a manageable "map for success" that prioritizes the most important activities during your week and also allows some extra space for the unexpected things that pop up. Make a list of priorities for the week on a separate sheet of paper that is categorized by subtitles, such as work, family, personal. Anyway, paper stuill works but it's kind of 'too old school'. Organize your life in present times is easier than ever before. Take advantage of the nice features in phones or tablets, desktop apps like iCal, mail based services like Google Calendar or one of many great web-based services like Mind42, RememberTheMilk, Plaxo or RescueTime. You will maybe have to spend a few hours learning and getting used to the systems, but you will save a lot more time in the future ...and probably will become more efficient too. If you prefer the paper, mark the items on your list with the 'highlighter pen' selected for the things that need to be done on a daily basis. In your electronic/web-based app, change the font color or the background color, to denote daily task. Organize your life and their items in subcategories like 'work', 'family', 'social life', etc in their order of importance.The tasks lists inside subcategories should start by the most important task to complete and the last number on the list should be the least important task to complete. Finish by numbering the personal and family subcategories the same way. In your lists, take the top three priority items from each subcategory that are also highlighted as daily tasks and or pencil them in your calendar in their consecutive days. In your e-calendar or app, choose "new event" and enter the priority items on their dates, setting notifications for any item that needs one. Record or enter the remaining top three to five priority items from each of the three subcategories on the days they need to be done. Evaluate the tasks scheduled for each day to ensure that you haven't over-scheduled a day or your week. If you have time left over and can add in additional items on certain days or even as a low-priority daily task, consider adding in what makes sense. Remember to prioritize some downtime for yourself each day. Add two or three "flexible" tasks at the bottom of each day just in case you have extra time one day and want to take on something you normally wouldn't be able to get to. Having a go-to list of flexible additional tasks will save you time, keep your priority tasks on target and prevent indecision on what other tasks you might have time to accomplish. Keep your priority list of tasks and refer to it at the end of your week to make the next week's priority task schedule. In your electronic calendar, you can simply drag the events that reoccur the next week into the following week on their correct day. • An over-scheduled week is as much a recipe for disaster as the unscheduled week. Be realistic about the amount of time each task requires and don't forget to prioritize personal time. To stay on task and keep your energy level high for each task, it's important to schedule time in your week for taking care of yourself. Physical exercise, healthy eating habits and free time with friends and family should be given priority on your list. Evaluate how well you've allotted yourself down-time during the week and make adjustments where you see needs. Using your selected tool with "notifications" to remind you of personal wellness tasks can help make them a priority. • For any schedule to work well, you must be prepared for changes. Carry some form of your weekly schedule with you, whether it's electronic, or in a small notebook/planner and use a pencil to facilitate changes. Be prepared to make adjustments to your schedule during the week by referencing your schedule nightly. Having an organized schedule for the week can not benefit you if you don't refer to it, make adjustments to it and then stick to it. Article writen by Kimberli Nalven, courtesy of eHow, a place where knowledge is awesome!